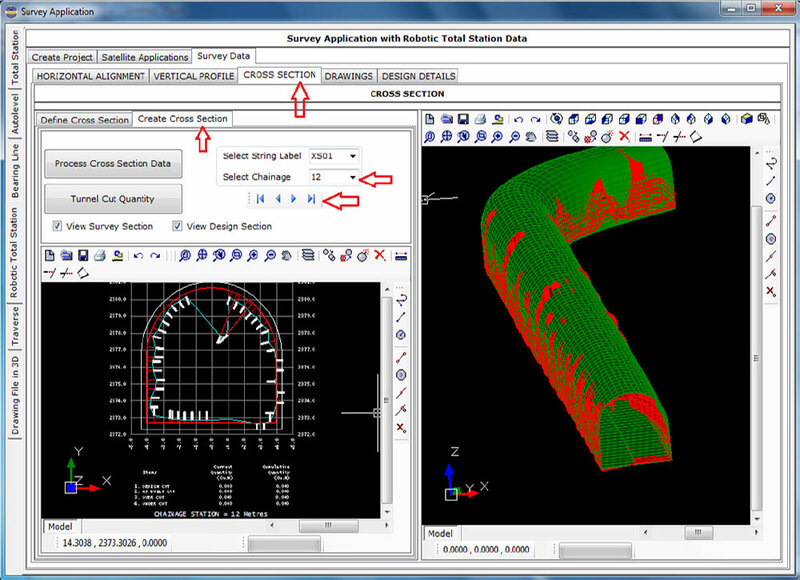 HEADS Site - Survey is CAD based software and has full range of Traverse Survey applications. It handles various Survey data starting with Traversing by closing error corrections by Bowditch, Transit, Closed Link, EDM. HEADS Site - Survey is effective to use ground data by carrying out Topo-survey with Total Station instrument to develop the DTM by Triangulation, Contour, Conversion from TM (Survey) to UTM (GPS) Coordinates, and preparing ground sections in CAD Drawings. HEADS Site - Survey features for using satellite images with Google Earth to plan for aerial usage of the site and downloading ground elevation data from satellite with Shuttle Radar Topography Mission (SRTM) by Internet without any Field Topo Survey. HEADS Site - Survey is features for maintaining, retrieving Land Data Records with various details useful for Land Acquisition and Information purposes, by using MS-ACCESS database systems with ‘mdb’ files and making the data compatible MS-Excel as ‘xls’ files. The land record data is connected with the land drawings by intelligent CAD system which is in-built in the software HEADS Site. HEADS Site - Survey has full range of applications for Site Leveling/Grading projects, Earthwork quantity estimation for Cut & Fill, Mass Haul Diagram, defining of working platforms etc. HEADS Site - Survey has applications to measure the quantity of any irregular shaped Excavations commonly required in Open Cast Mines, with elevation data, DTM, Contouring, Measurement of Quantities etc. HEADS Site - Survey has applications to measure the quantity of any irregular shaped Stock Piles commonly required in various projects, with elevation data, DTM, Contouring, Measurement of Quantities etc. HEADS Site - Survey has powerful Tunnel design facilities using scan survey data in Trimble Robotic Total Station Format, With various Plan Profile Cross Section drawings it provides information on volume of Cut Quantity, Undercut, Overcut, Payline etc. with essential details in Bored & Design Cross Sections in CAD drawing forms. Users Manual, and various Tutorials on real project data in separate DVD.